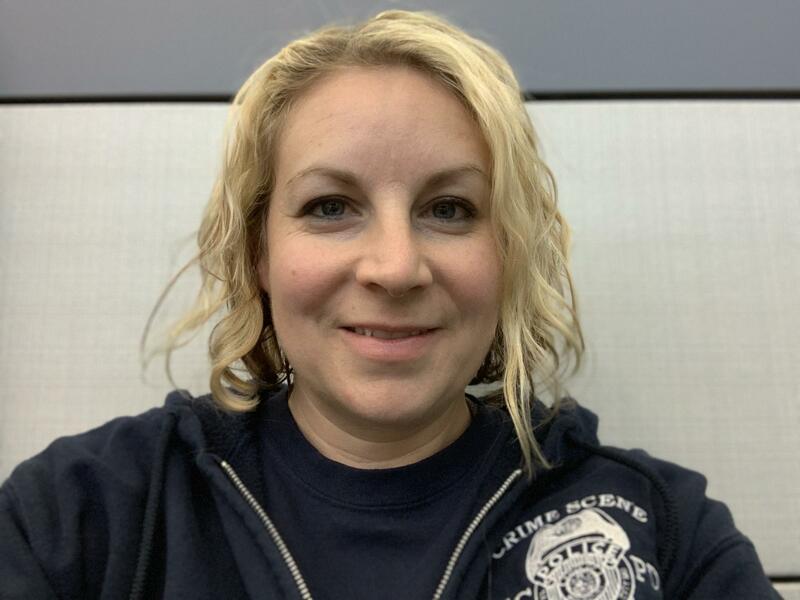 Listen each Monday, February 11 through March 4 as Stacie Frobenius, formerly of Quinter, Kansas, discusses her favorite true crime books – definitely not everyone’s cup of tea, but important to this crime scene investigator from Kansas City. Stacie Frobenius is a Crime Scene Investigator working in Kansas City, Missouri. She was born and raised in a small western Kansas town. After a science teacher mentioned Forensic Science as a career option, she started reading any forensic science book she could find. Author Mary H. Manhein (The Bone Lady: Life as a Forensic Anthropologist) and fiction author Patricia Cornwell were the first writers that stoked her fascination with true crime and murder mystery genre, eventually laying the foundation for her career. Stacie obtained a degree in Forensic Science and took advantage of any conferences, training and internships in order to get into the field. She has spent eight years working in Crime Scene Investigations and has worked over 600 cases. Stacie knows that even though real crime scene work isn’t as glamorous as TV, it is sometimes much more interesting. Joining Stacie on her discussion of Bind, Torture, Kill: The Inside Story of BTK, the Serial Killer Next Door is Dani Stone, a three-time published author from the great flat state of Kansas. As a longtime freelance writer, her work has appeared on a variety of websites and anthologies including Shape Magazine and Chicken Soup for the Soul. Her romantic comedy, Next Left, is available on Amazon. Dani is also a three-time cast member in the live storytelling series, Listen to Your Mother. By day, she's a digital hype woman (i.e., marketing director for a large bus, truck equipment, and mobility provider. She's also a wife, mother of two hilarious teenagers, wedding officiant, and voracious reader. Her favorite literary characters include Ceecee Honeycutt, Jennifer Johnson, and Scarlett O'Hara because they embody Dani's favorite personality traits: bravery, quirkiness, and the drama of a life well lived. HPPR Radio Readers Book Club 2019 Spring Read: "It's a Mystery to Me!" Lock the doors. Close the curtains. Keep the lights on. And get ready for HPPR Radio Readers Book Club's 2019 Spring Read: It's a Mystery to Me! This season will surely delight readers who love thrillers, true crime, murder mysteries, classic detective stories, and regional authors exposing the darker side of our High Plains home. Now let's all snuggle up with this hearty stack of books and try to figure out WHODUNNIT! See below for the book list! Click here to see a printable, two-page Reader's Guide, complete with bios and books!